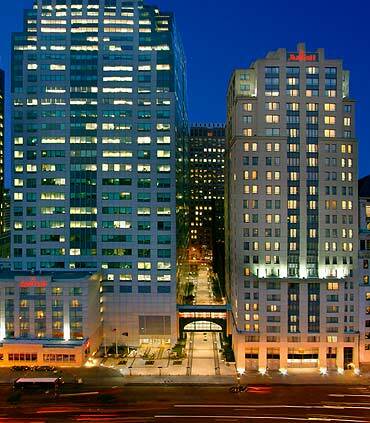 Parking.com offers convenient parking for the New York Marriott at the Brooklyn Bridge. Click on the map shown for parking information, including rates, hours of operation, and entrances. The New York Marriott at the Brooklyn Bridge is conveniently located in the neighborhood of Brooklyn Heights, just steps away from Brooklyn's most popular attractions, entertainment, and dining. Nearby destinations include the Brooklyn Bridge Park, Brooklyn Botanic Garden, MetroTech Commons, and Prospect Park.